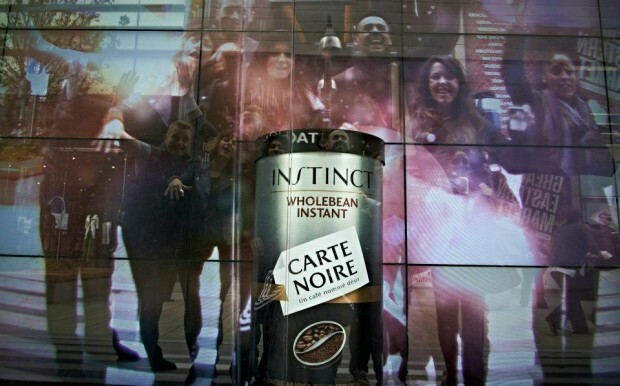 Carte Noire is the leading premium coffee brand in France, created from Arabica beans. For the launch of ‘Carte Noire Instinct’ Digital agency ‘Work Club’ came up with a concept for an interactive window display. 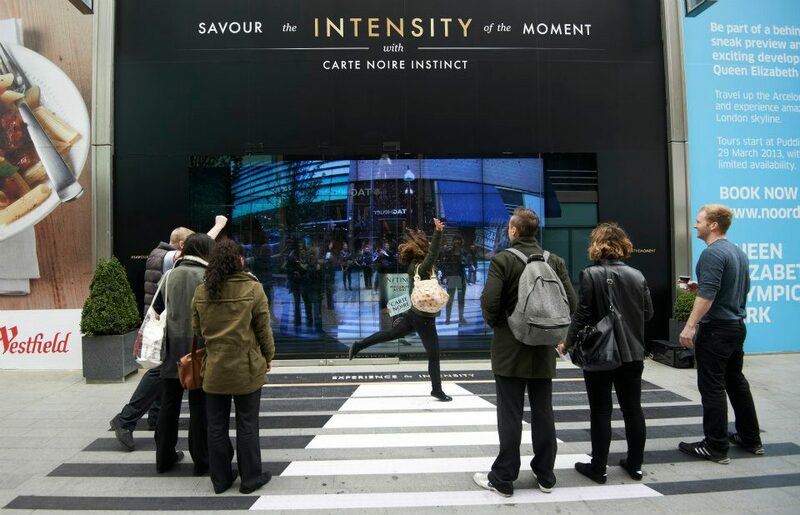 This concept is executed by interactive design consultancy ‘AllofUs’ and Out-of-Home Communications agency ‘Posterscope’ with the use of Kinect, a live camera feed, motion tracking technology, cinematic visual & sound effects and LCD screens. 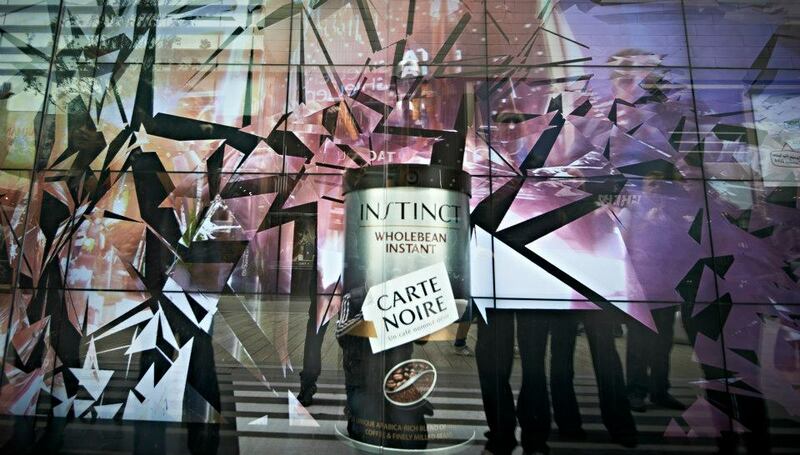 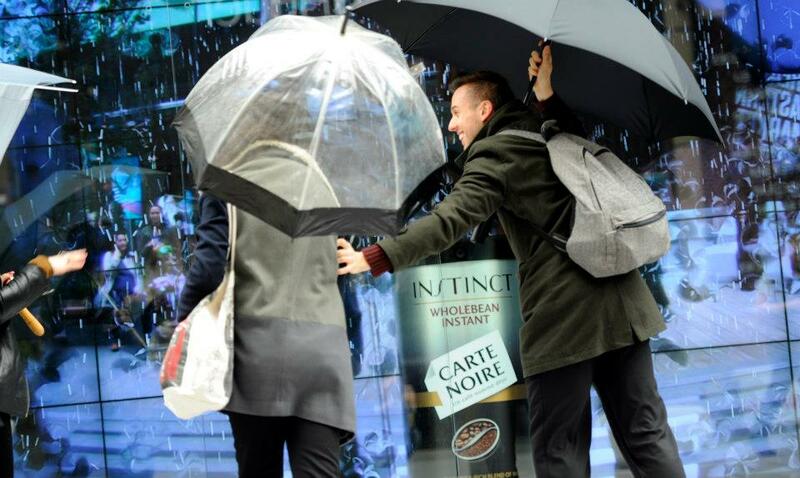 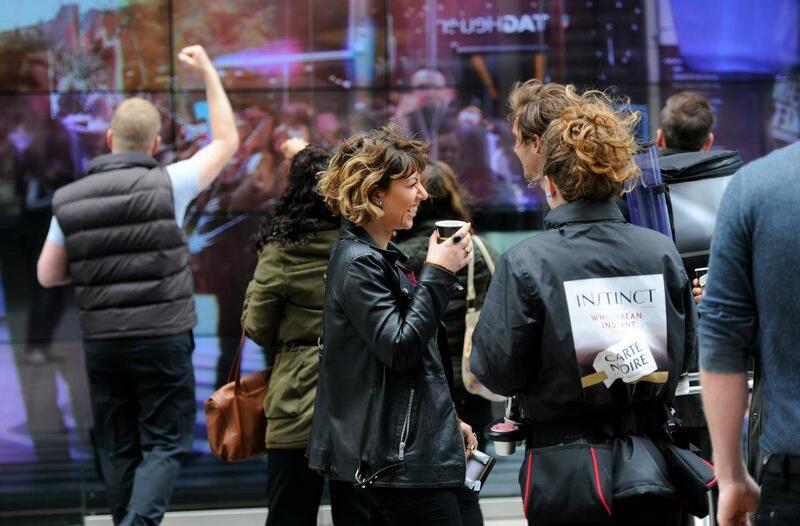 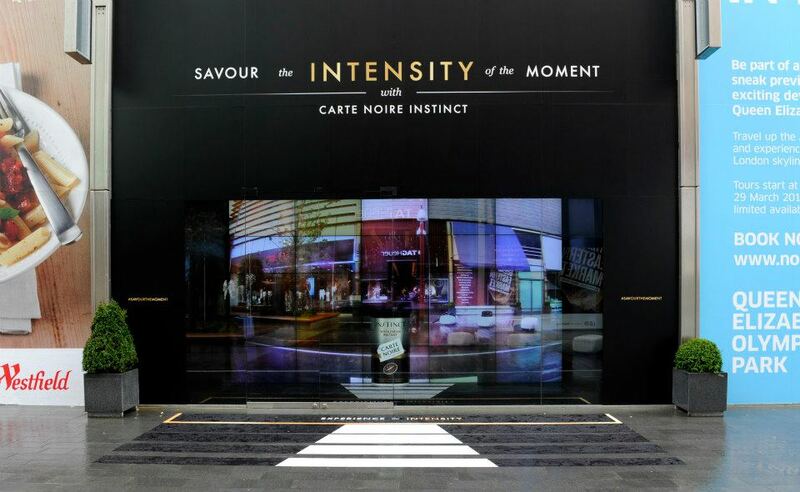 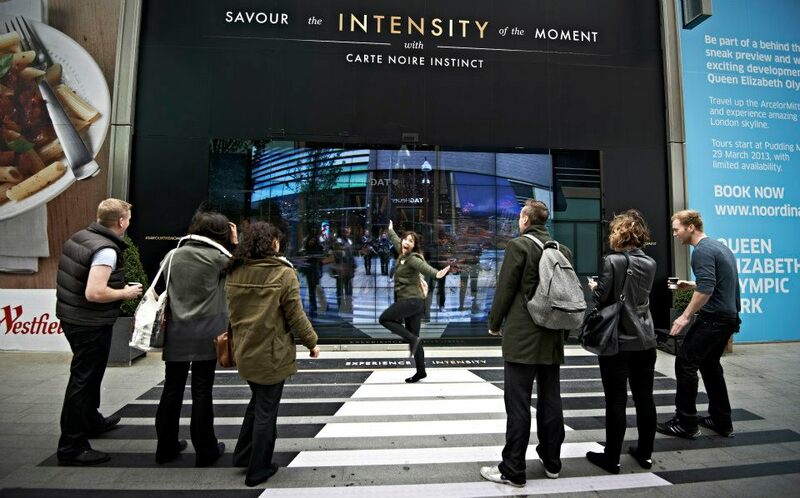 Passers-by at Westfield Stratford City could experience the intense and immersive interaction of ‘Carte Noire Instinct’ window display. 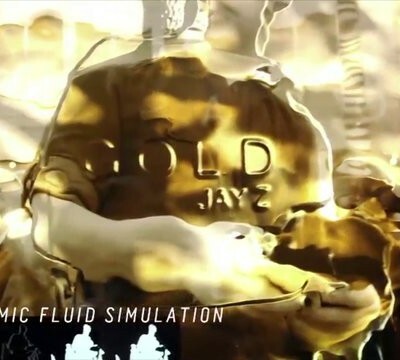 By moving closer towards the display the experience intensified and reality became more distorted. 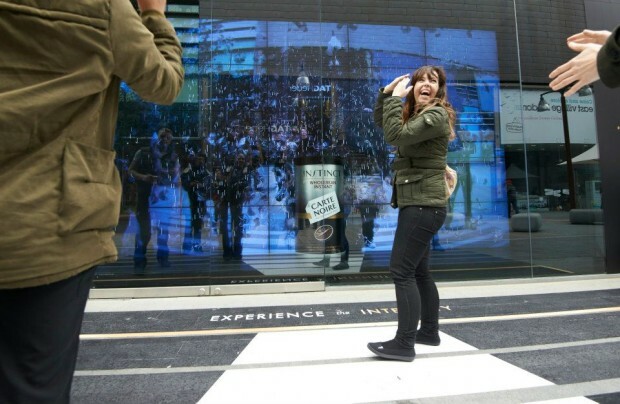 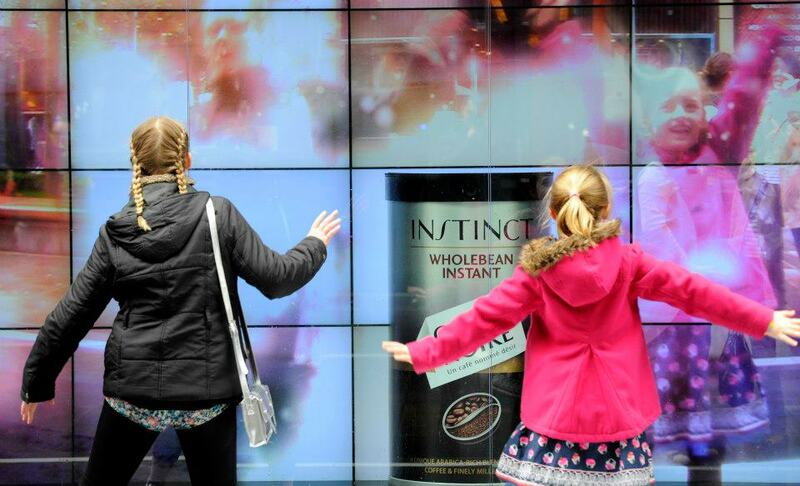 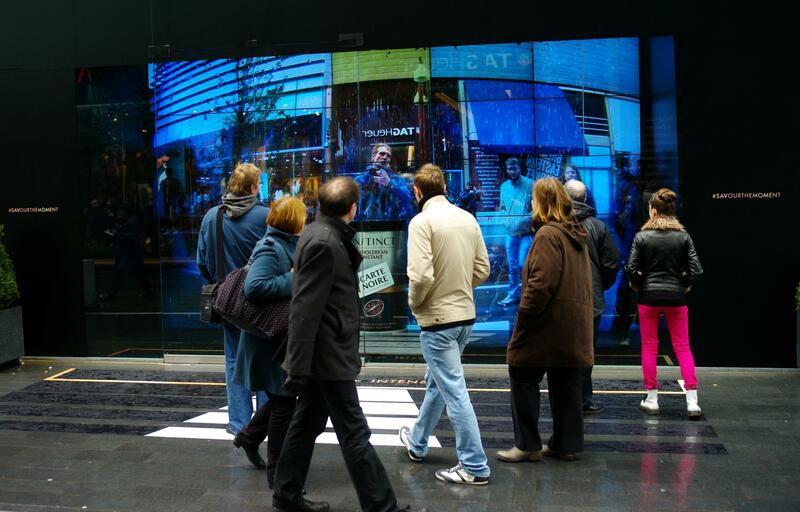 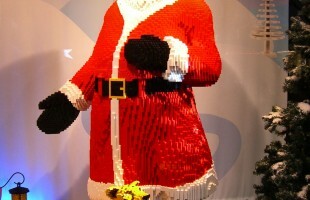 Interactive windows display are becoming more popular and imaginative ;).